Today’s Under the Seapalooza guestpost comes from author Nikki Jefford, and it comes with a vlog and an awesome giveaway! 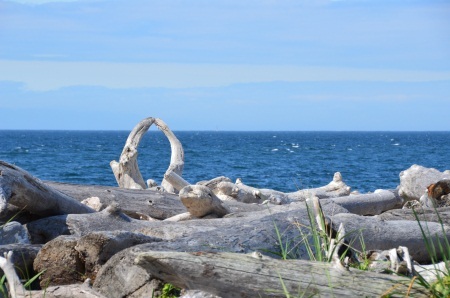 Like Gemma in Wake, I live by the ocean in a small town called Friday Harbor located on San Juan Island. 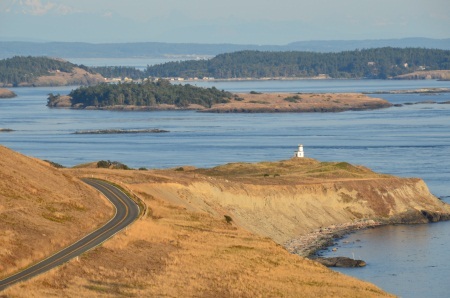 Thanks to the Washington State Ferry system, four of the San Juan Islands are accessible by passenger ferry, which brings a flood of tourists to the islands during the summer months. But enough talk. How about I show you around? By day I work at a 20 acre organic lavender farm. All of the products are produced on site by a team of lovely women. I am giving away three of our most popular bath products: Lavender Tub Tea, Bath Salts and (my favorite!) Bubble Bath. Even if you’re nowhere near a large body of water, doesn’t mean you can’t enjoy a relaxing soak. 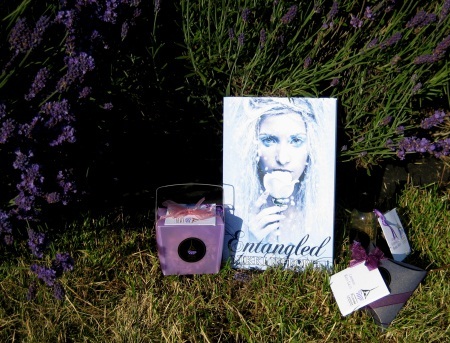 And, for those of you who enjoy reading in the tub, I’m throwing in a signed paperback copy of Entangled. Nikki Jefford is the author of the Spellbound Trilogy. She lives with a Frenchman named Sebastien and a Westie named Cosmo in Friday Harbor, WA and loves lake swimming. Hi Nikki and Amanda!! Thank you so much for hosting this giveaway!!! I have fond memories of Friday Harbor from when I was a kid. My grandparents had a boat and they would sometimes accompany them as they sailed it from Seattle to Friday Harbor. Other times we rode the ferry to meet my grandparents at Friday Harbor when they had the boat docked there. I’ve been English Camp and American Camp. Both are fun places. I grew up on Whidbey Island, another Washington State island, but not a part of the San Juans. What a fun giveaway! I love lavender. I learned so much about where Nikki lives. It sounds like a dreamy place in my book. I guess I may end up being one of the many tourists that stop by in the summer! Fun facts, Nikki! Thanks for the giveaway! That was awesome Nikki! Very nice job! Can’t wait to get together with you and Stacey on the 4th!